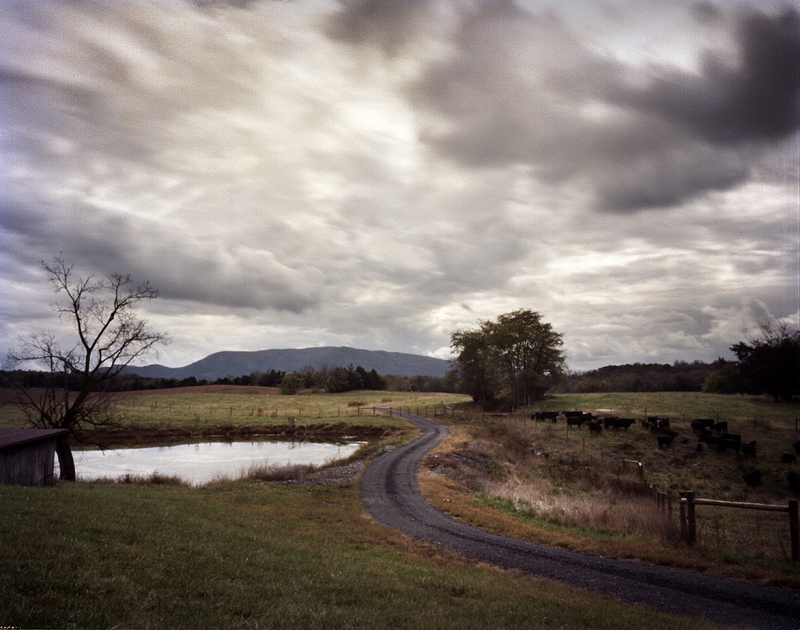 The Shenandoah Valley had been a thorn in the side of the Federal Government since the beginning of the Civil War. Stretching 165 miles from Winchester to Lexington the various mountain chains and vast open spaces of the valley defied every Union army sent to subdue the region. 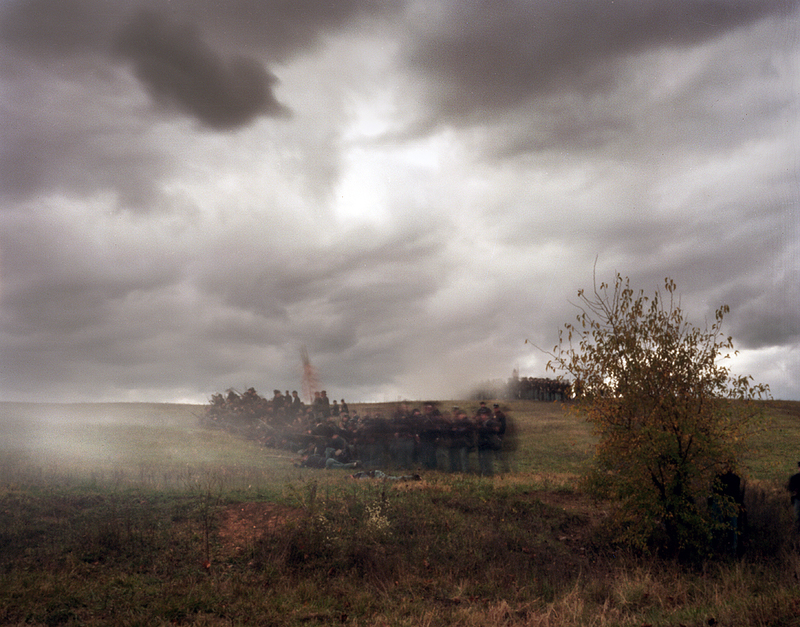 In 1862 Stonewall Jackson’s troops famously ran rings around the Union army in the valley. Knowing the region well Jackson used the myriad of gaps in the mountains to secretly move his troops throughout the valley. So adept and quick at this mobile warfare that Stonewall’s troops were nicknamed, “Jackson’s Foot Cavalry”. 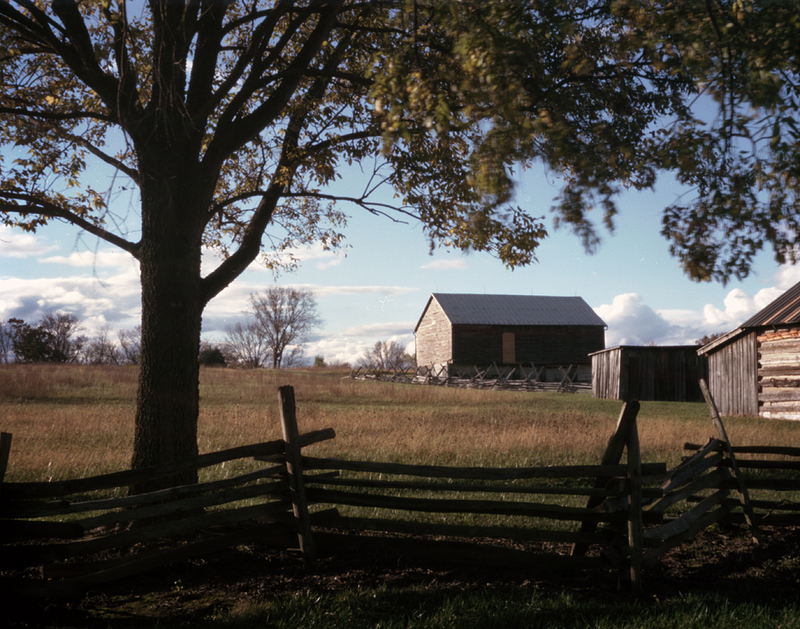 In 1864 the Shenandoah Valley with its countless farms, cattle and horse flesh continued to serve the Confederacy as a vast supply center. 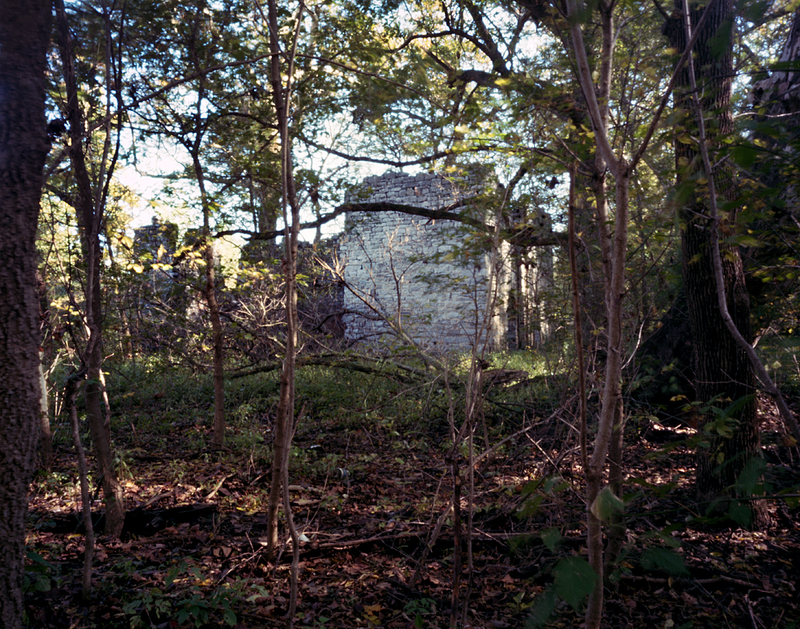 To protect this resource Robert E Lee sent veteran commander Jubal Early with reinforcements to the valley in an attempt to repeat Jackson’s successes and retain this vast granary for the Confederacy. US Grant determined to finally shut down operations in the Shenandoah Valley names Phil Sheridan, a newly arrived commander from the west, to fulfill this assignment. 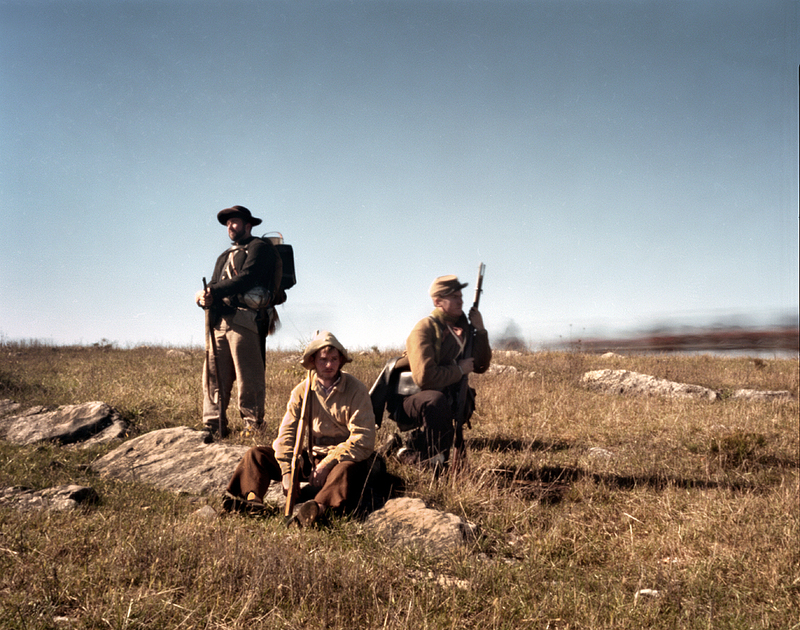 Unlike the Union valley campaigns of the past Grant would pick his most experienced troops to accompany Sheridan to the Shenandoah Valley in 1864. Correspondingly facing Sheridan would be some of the Confederacy’s toughest fighters. Stonewall’s old Foot Cavalry were present as well as other veteran units that had served in the valley earlier in the war. 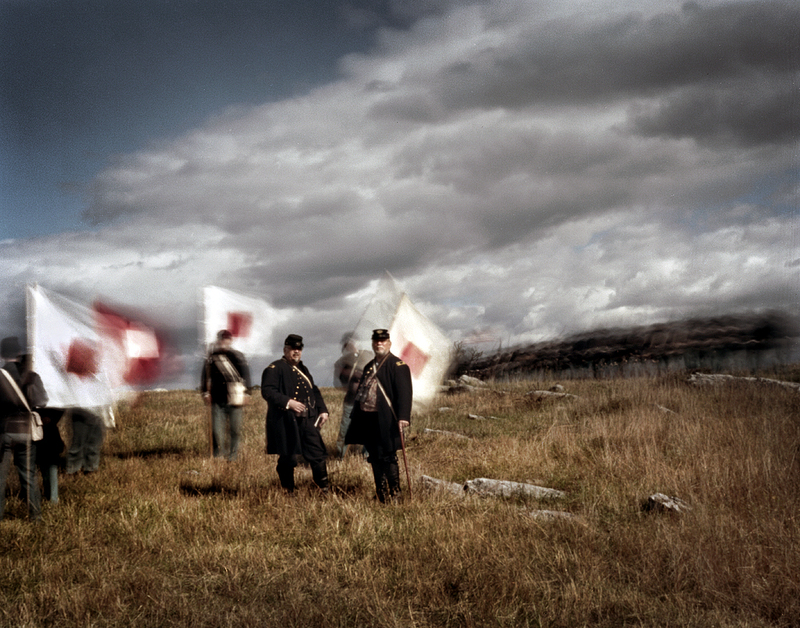 These two armies would face each other and fight all cross the Shenandoah Valley in 1864. The fighting would stretch from Winchester to Harrisonburg with the main battles happening in the north of the valley outside of Winchester, at Fisher’s Hill and Cedar Creek. These three battles would culminate as Union victories and finally seal the fate of the Confederacy in the Shenandoah Valley for the rest of the Civil War. 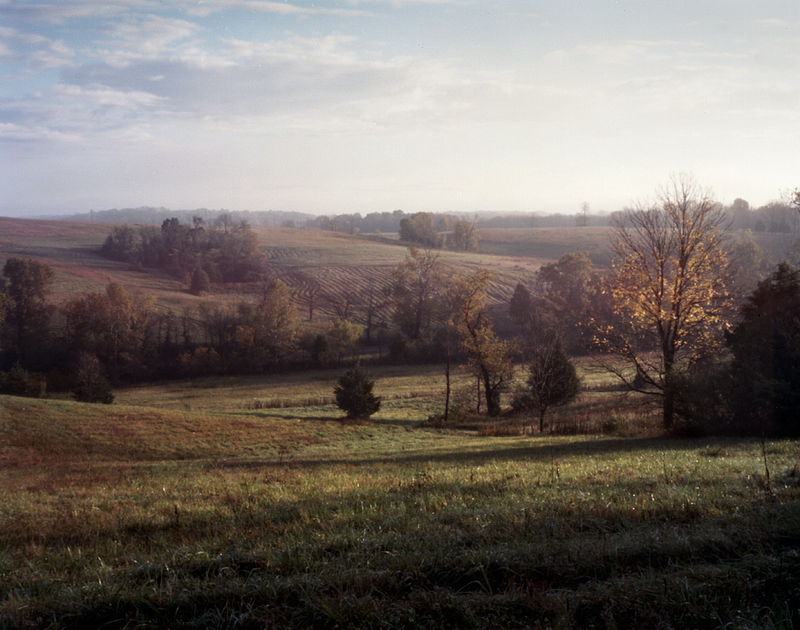 I travelled to this region of Virginia in October 2014 to explore the remains of the 1864 battlefields and to attend a reenactment at the 18th century Belle Grove Plantation to commemorate the 150th anniversary of the Battle of Cedar Creek. 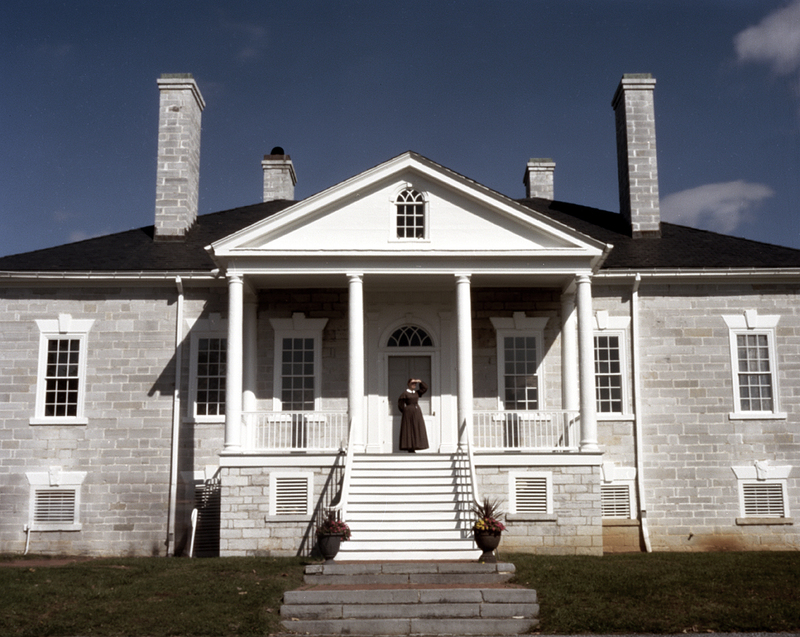 The Belle Grove Plantation and the Cedar Creek Battlefield are part of a public/private partnership associated with the National Park Service and the National Trust for Historic Preservation. 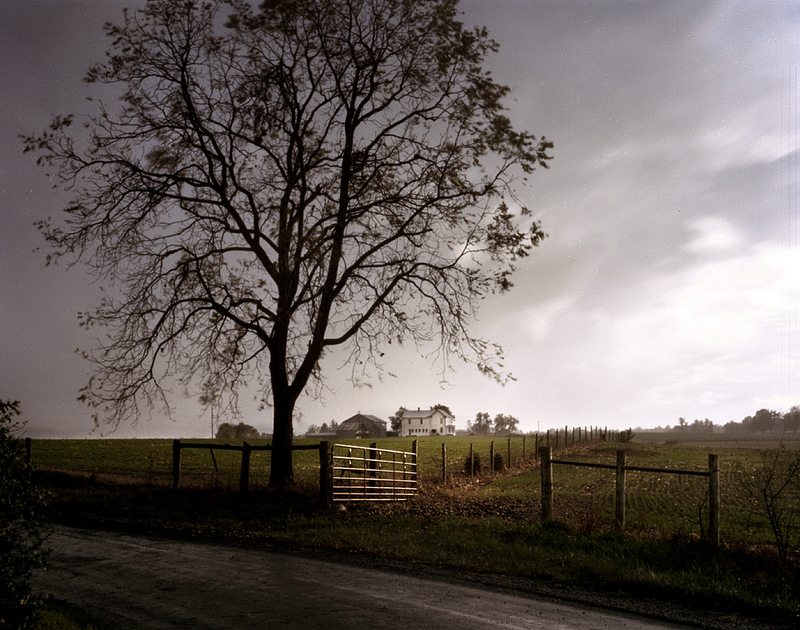 Surrounded by mountains and working farms the rolling cultivated terrain at Belle Grove and the Cedar Creek Battlefield are a perfectly preserved early American landscape. Over the commemorative weekend thousands of reenactors set up their regimental camps in designated areas at Belle Grove just as they had in 1864. Staged exactly 150 years to the day the reenactment would take place on the same rolling fields, the same hallowed ground as the decisive battle which occurred here on October 19th 1864. To enhance the sesquicentennial commemoration Union reenactors held an election rally in camp to support Abraham Lincoln’s reelection campaign of 1864. 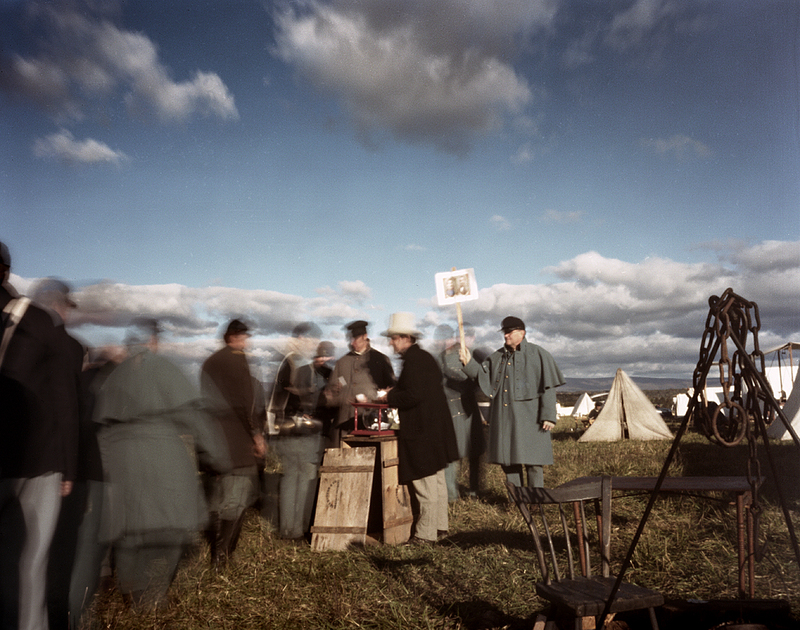 Reenactors moved about the camp by torchlight voicing their support for Lincoln and some for his opponent, former army commander George B. McClellen. The following morning the living historians voted dropping their ballots in a box lorded over by a local sutler. 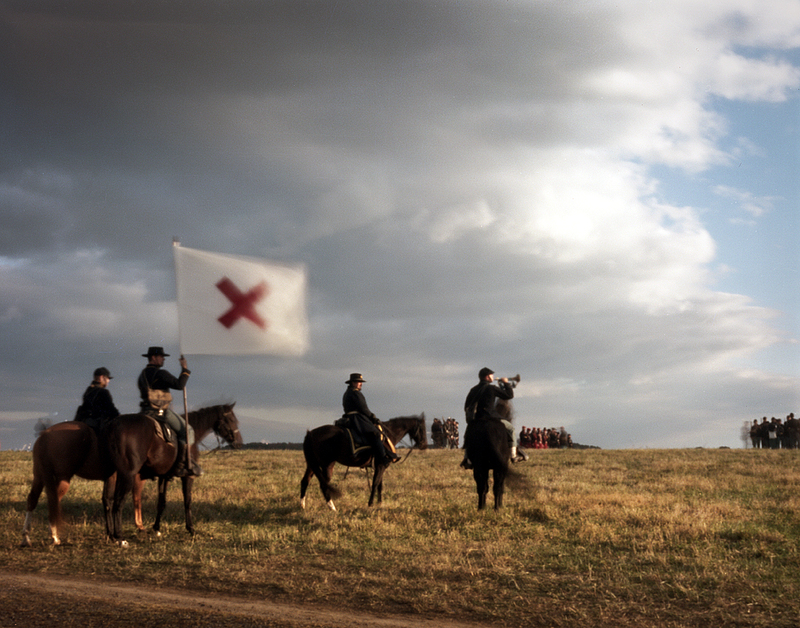 Thousands of reenactors lined the slopes of the Cedar Creek Battlefield creating dramatic views of flag bearing regiments marching along the crests of the battlegrounds’ rolling hills. 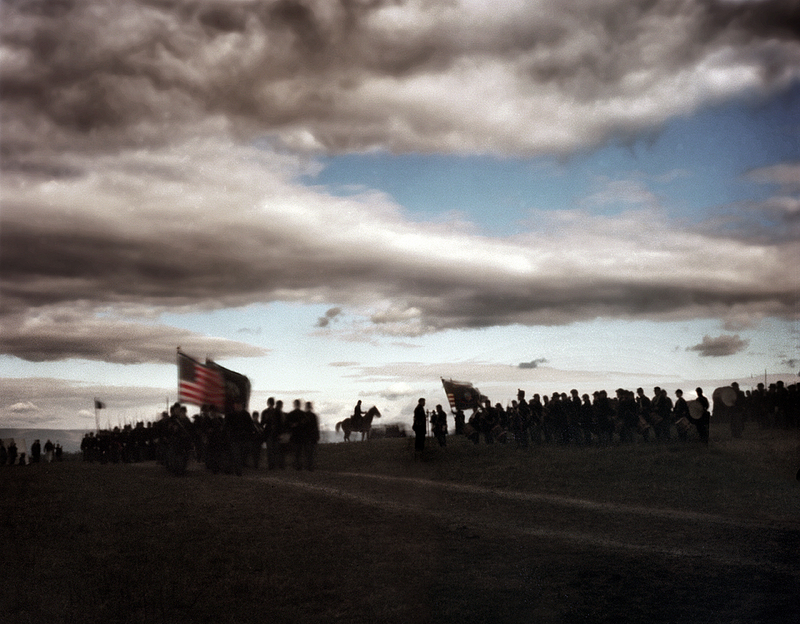 Union reenactors came together and formed a “Grand Review” for the early arriving spectators. Arraying themselves across the fields of Cedar Creek in white gloves, Federal cavalry troops, artillery teams and infantry regiments spread out in columns for review by the commander – in this case Brig. Gen. Darrell N. Markijohn. 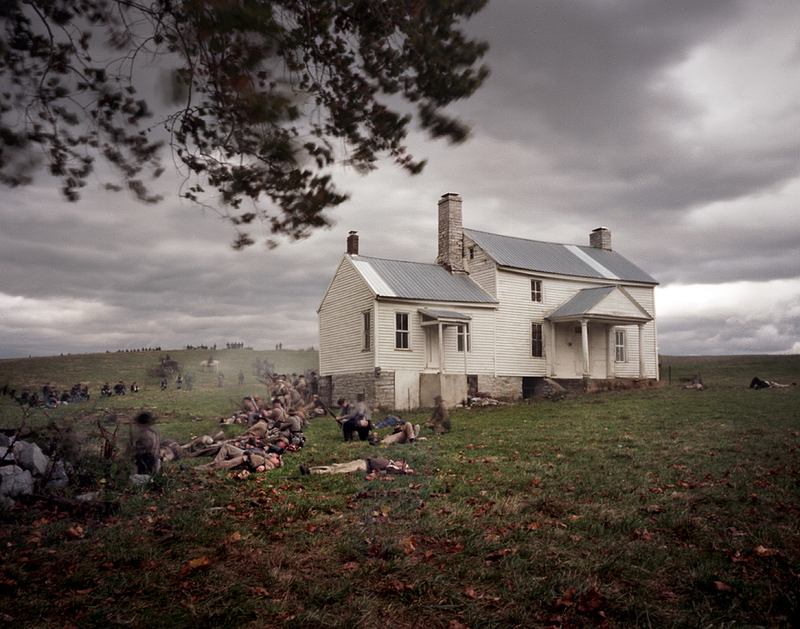 The Union and Confederate troops in 2014 would reenact the battles of Tom’s Brook, 3rd Winchester and Cedar Creek commemorating the struggle in 1864 for control of the Shenandoah Valley. 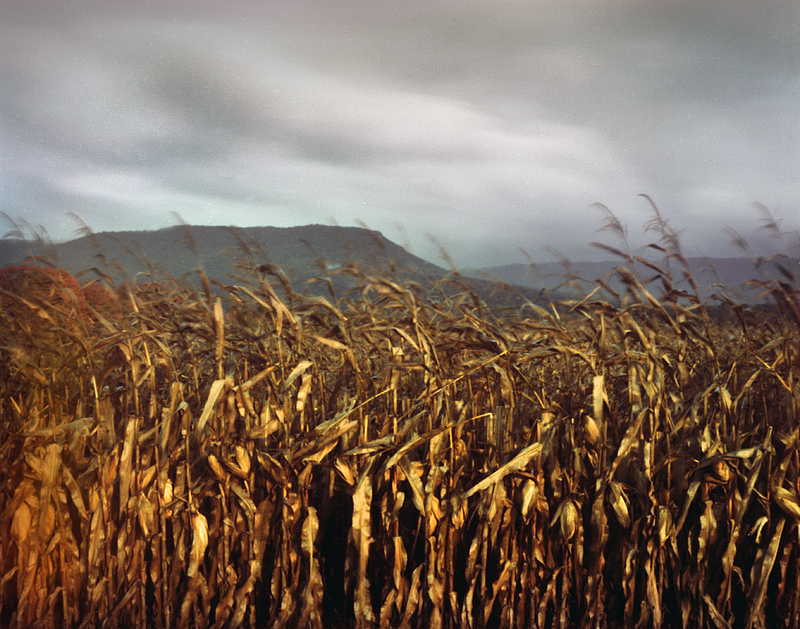 Amazingly the Shenandoah Valley today continues to be the “bread basket” it was in the 19th century. 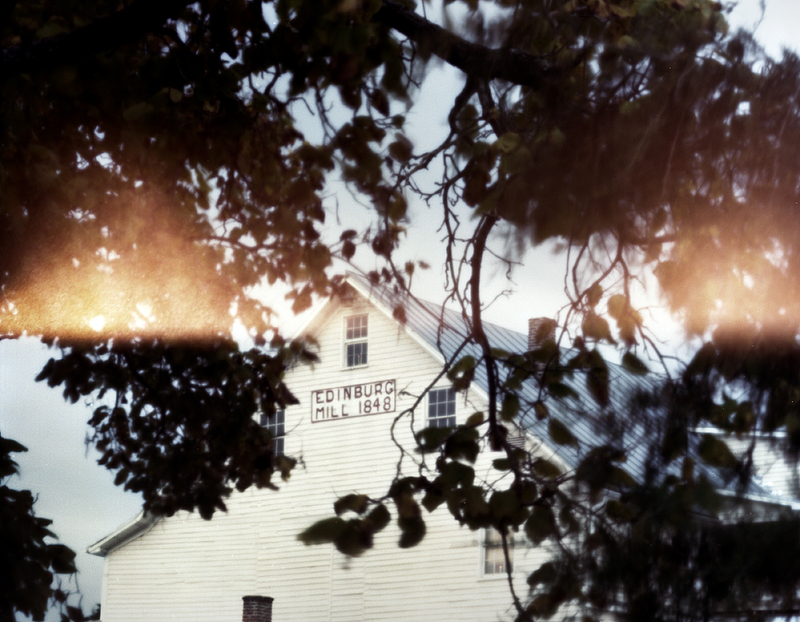 The valleys are still filled with produce, cattle and dairy farms and the small towns that dot the Valley Pike continue to retain their Civil War era look and feel. Drive this old byway from Winchester to Lexington and you are passing through some of the most beautiful countryside in America. In 1864 the fighting in the Shenandoah Valley would be unlike the combat soldiers were experiencing outside of Petersburg, Virginia where siege warfare dictated the use of entrenchments and earthworks. 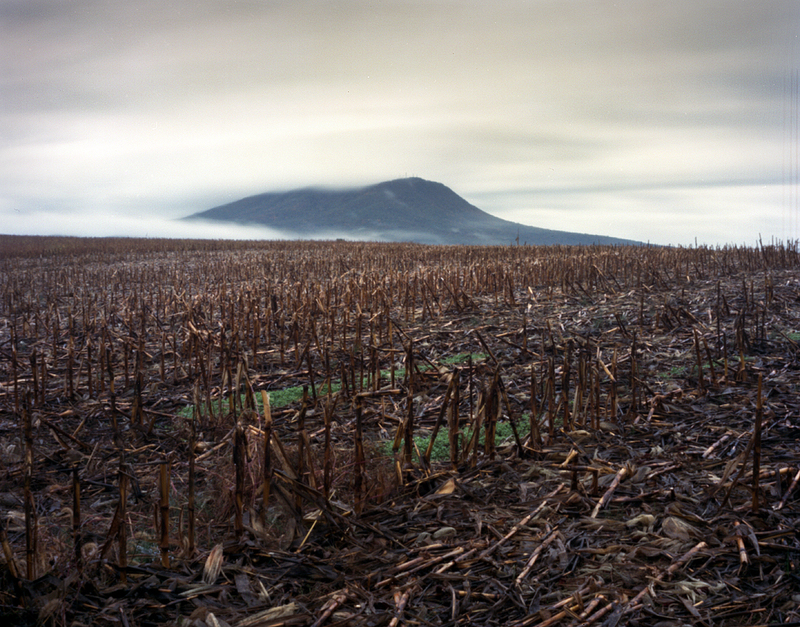 The valley’s open spaces and cultivated farm lands would lend itself to a more mobile warfare. 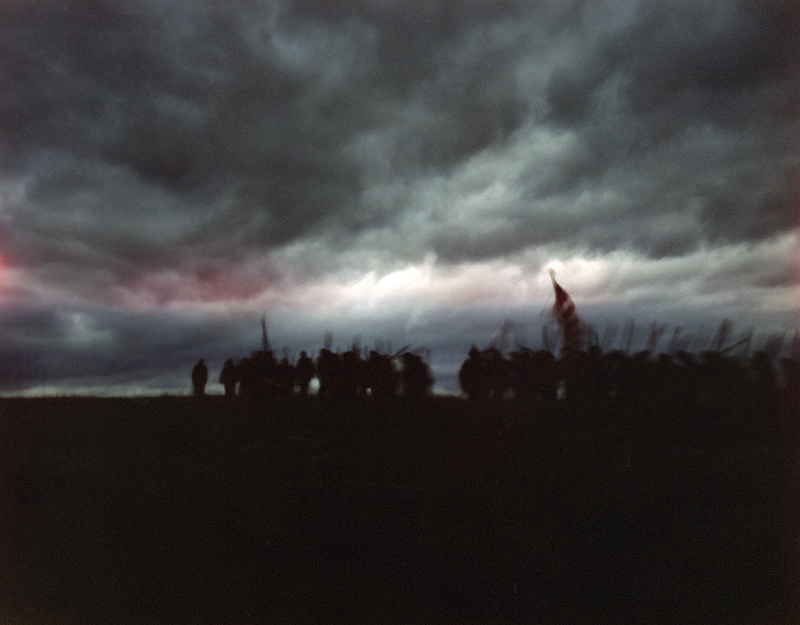 The battles of 3rd Winchester and Cedar Creek would be bloody “stand-up” fights accompanied by thundering cavalry charges. Preparing for the trip I kept a close eye on the weather. The sensitivities of the pinhole camera dictates the need for a least a little light and the forecast somewhat ominously called for mostly cloudy conditions for my week-long stay. 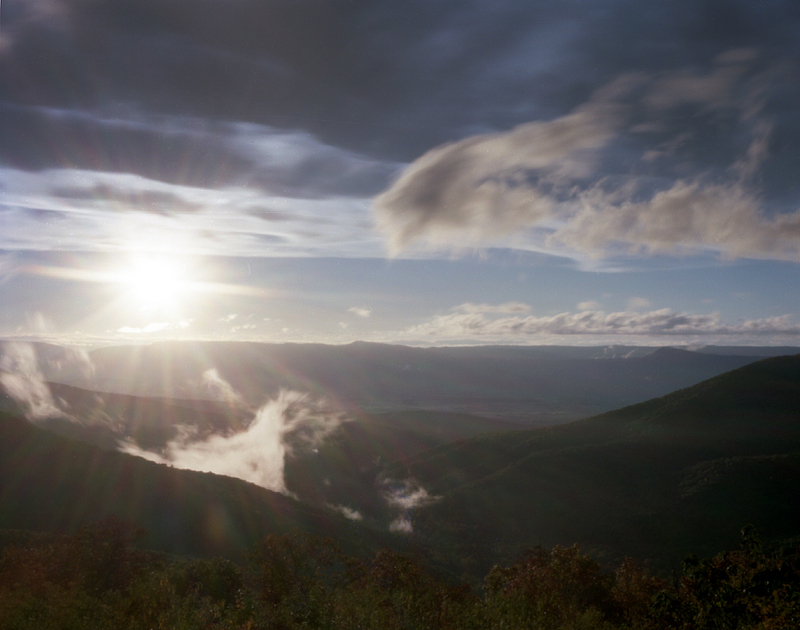 What I found out is when they say “mostly cloudy” in the Shenandoah Valley, they mean, mostly stunning….. 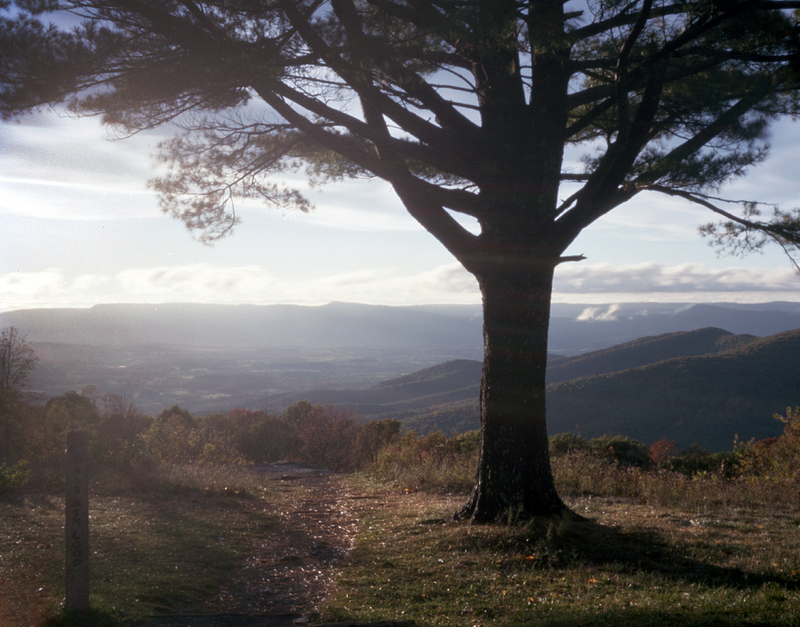 The Shenandoah Valley is bisected by an old road first laid out in the 18th century by a young American engineer named George Washington. 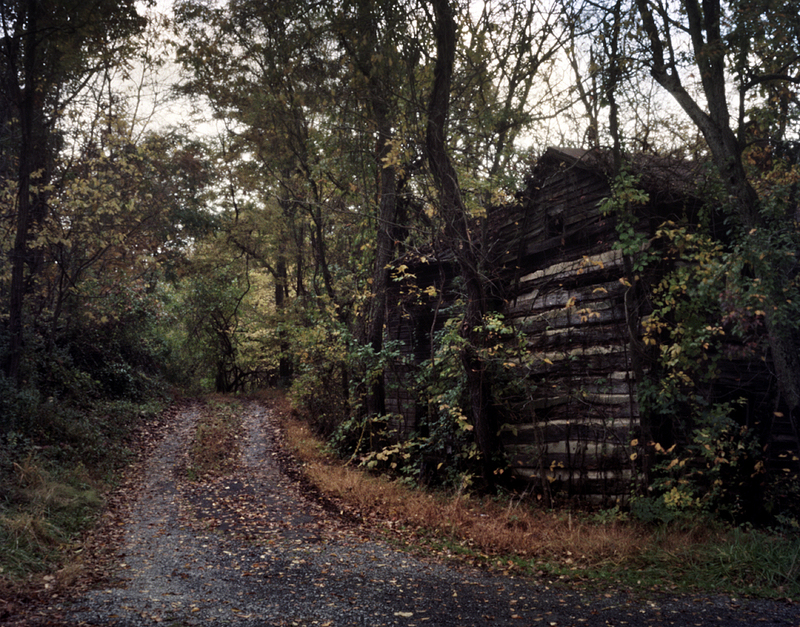 The old Valley Pike, now route 11, still runs the length of the Shenandoah Valley and takes you through one small 19th century town after the next. Each one of these towns would be touched by the war as possession of the Valley Pike would become the key to the 1864 campaign. 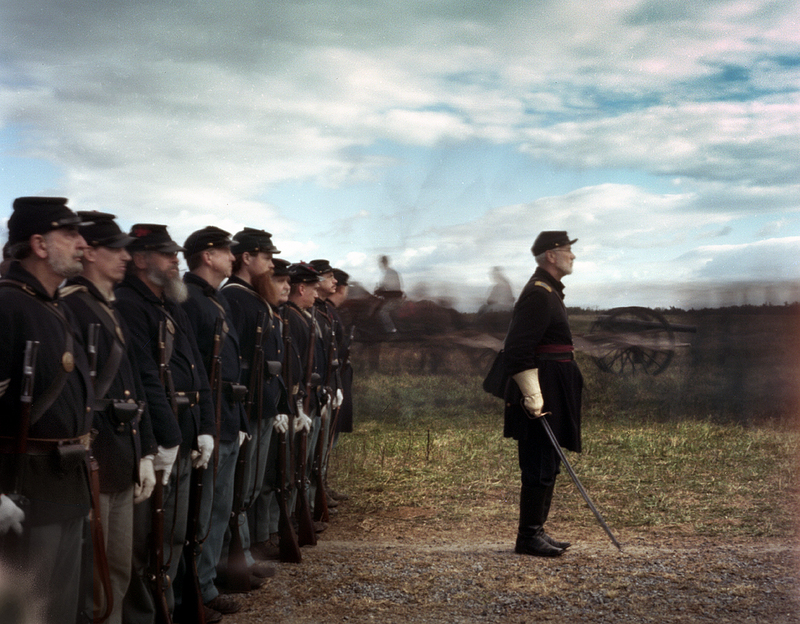 After out-manuvoring and defeating two larger Union armies in the Shenandoah Valley in the spring of 1864 General Jubal Early, at the urging of Robert E. Lee, used the valley as a spring-board in the Confederacy’s last invasion of the north. On July 9th 1864 Early’s troops attacked and drove off Union forces at the Battle of Monocacy in Frederick County, Maryland and continued their march north to the outskirts of Washington threatening the nation’s capitol. All of these events led US Grant to detach a portion of his army from Petersburg to Washington to respond to the threat. Confederate troops led by Jubal Early make a half-hearted attack on Fort Stevens near the Washington City limits before wisely marching his army back to the safety of the Shenandoah Valley. In August of 1864, with frustration mounting in the north, General Phil Sheridan takes command of the Army of the Shenandoah. 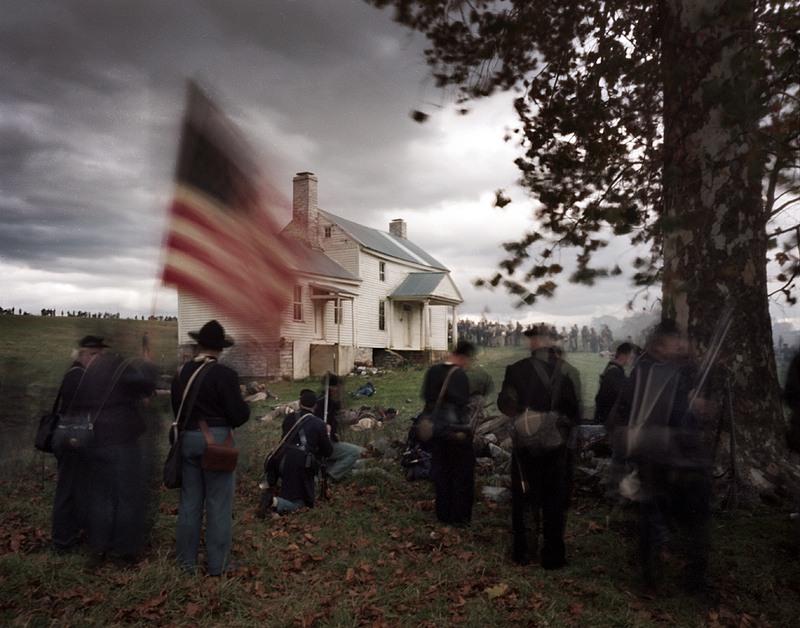 Supported by a force of 35,000 men Sheridan’s mission is to finally bring an end to Confederate operations in the Shenandoah Valley. Grant’s orders for Sheridan sound much like his orders to Gen. Meade when the Overland Campaign began back in May of 1864. Sheridan is ordered to follow the rebel army “where ever the enemy goes you will go also” and to destroy the region’s ability to sustain the Confederates. Winchester Virginia has the distinction of being the most fought over town in the American Civil War. Twenty seven separate battles and skirmishes happened for control of the Valley’s northern most town and in 1864 Phil Sheridan’s Army of the Shenandoah will finally wrestle it from the Confederates for good. On September 19th 1864 the two armies confronted each other north of the town in what would be the 3rd Battle of Winchester. 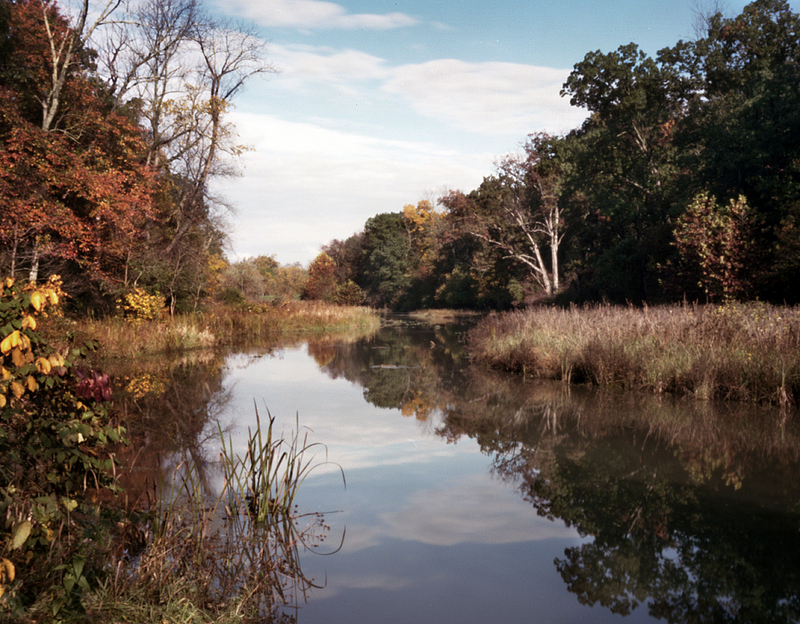 The Union Army of the Shenandoah would attack the Confederates along Red Bud Run, a meandering swampy creek that still parallels the battlefield today. Two future presidents of the United States would fight here at Winchester in 1864 with Rutherford B. Hayes being wounded while leading his men across Red Bud Run during the battle. Serving on Hayes’ staff a young Lt. William McKinley who would also distinguish himself in the Valley Campaign of 1864. 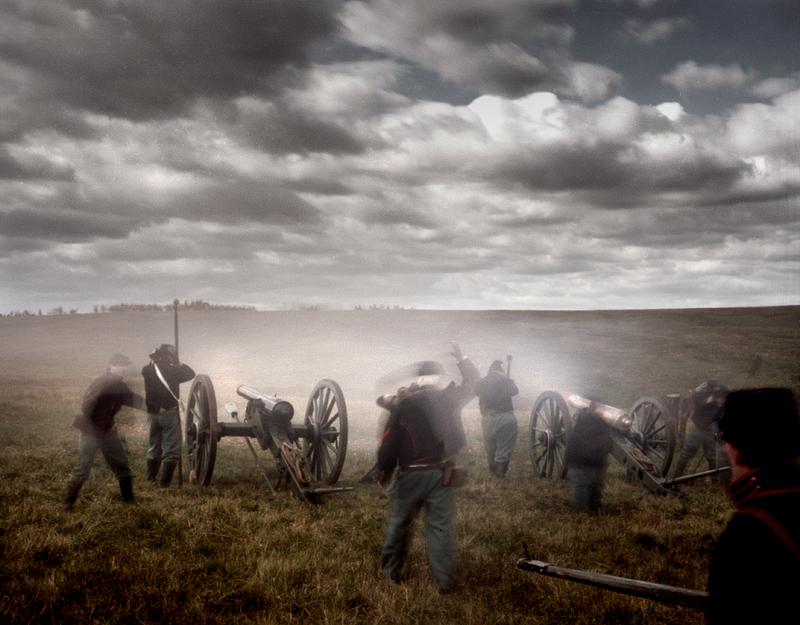 Union forces at 3rd Winchester attacked the Confederates from three directions using their superiority in numbers to overwhelm the waiting rebels. 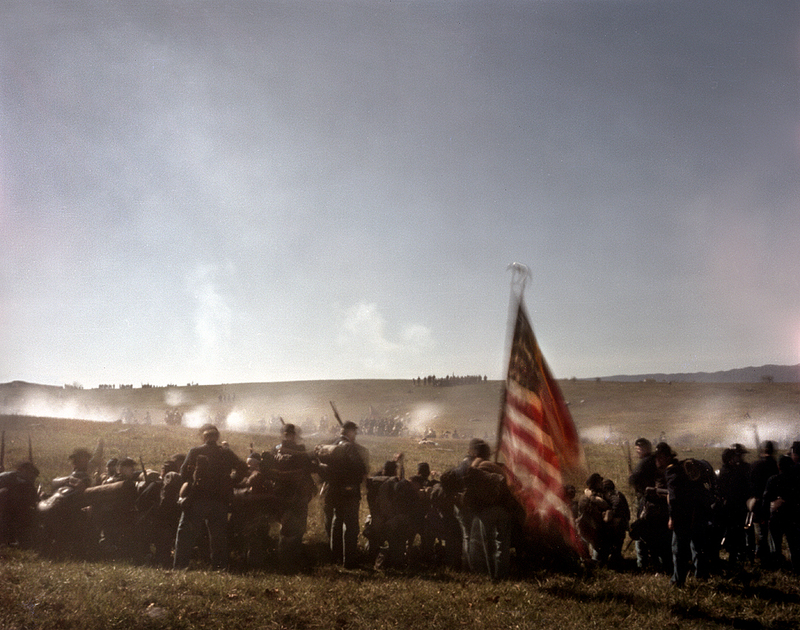 The Union assault breaks the Confederate line, the southerners fall back and then literally, they run for the hills. Union troops begin a pursuit with Sheridan setting up his command post at Winchester. Building on his successes Phil Sheridan moves south from Winchester towards Strasburg and Fisher’s Hill utilizing the hilly terrain of the Shenandoah Valley to camouflage portions of his army. Reconnoitering the Confederate position on Fisher’s Hill Union officers can clearly see the southerners are well dug-in and advise Sheridan against an attack. Jubal Early had taken care in selecting this defensive position. Entrenched or not Phil Sheridan understood that he had momentum on his side, the high morale of a winning army and more importantly he out numbered the Confederates at Fisher’s Hill 3 to 1. 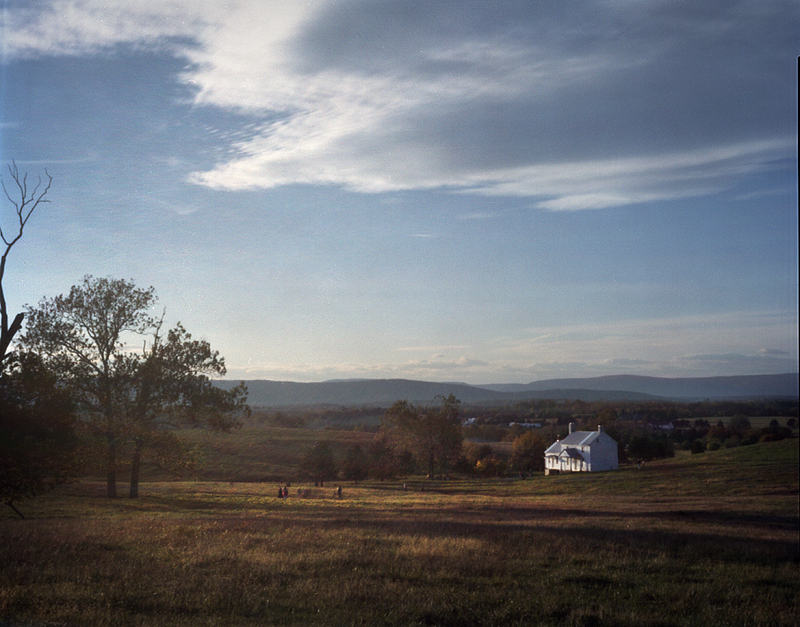 The hilltop position at Fisher’s Hill still gives you a commanding view of the northern Shenandoah Valley. 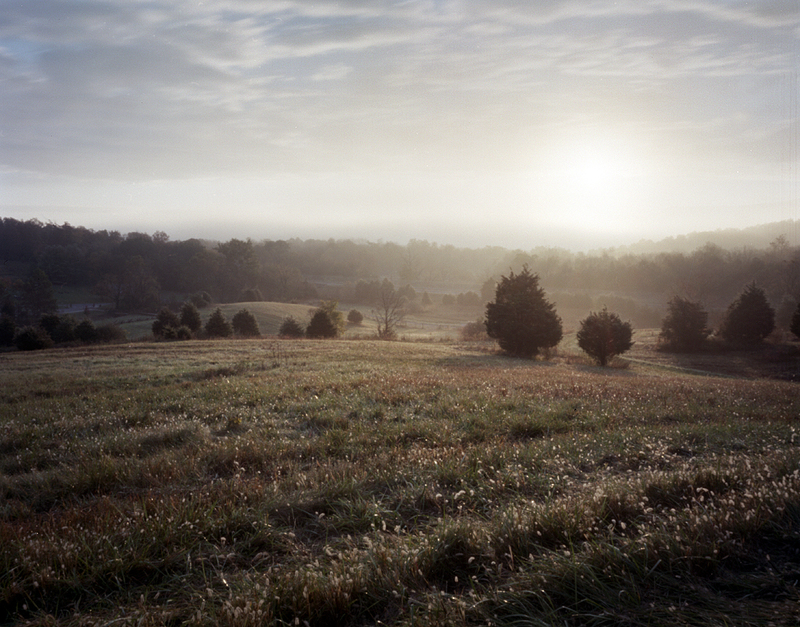 Protected by the Shenandoah River and mountains to the south, Confederate troops in September 1864 reinforced Fisher’s Hill utilizing the natural contours of the terrain to form a near perfect defensive position. Utilizing his superiority in numbers Sheridan safely splits his forces at Fisher’s Hill first attacking with his infantry to hold the Confederates in place while sending an independent force to out-flank the position. The coordinated Union attack totally unnerves the Early’s exhausted troops, breaks the defenses at Fisher’s Hill and sends the Confederates flying south again in retreat. The Union attack was so sudden and complete that Early’s Army of the Valley just disintegrates. The Confederates are pressed in their retreat south on the Valley Pike. Harassed by Union cavalry during the entire sixty mile march to Harrisonburg the Confederates are forced into desperate rearguard actions along the way as General Early attempts to save the Army of the Valley from destruction. 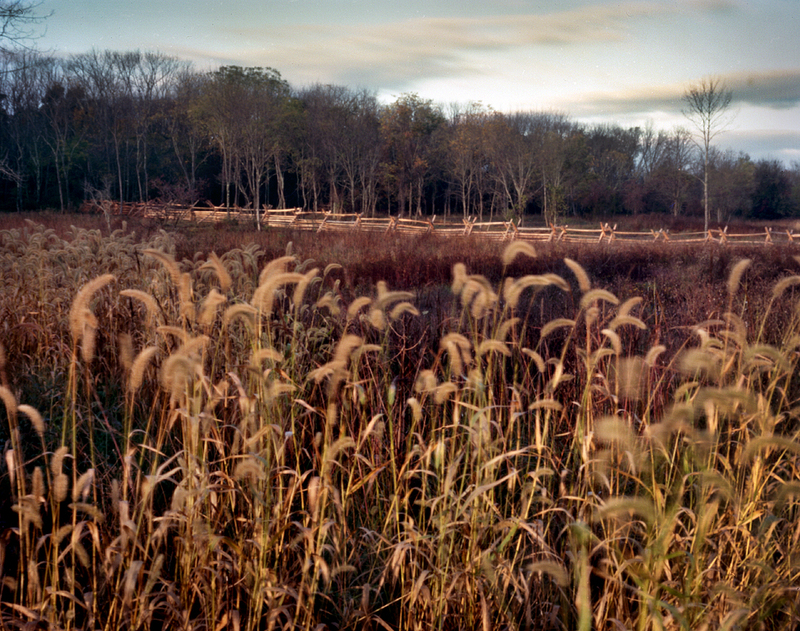 Near Harrisonburg the two armies would skirmish around the old battlefields of Cross Keys and Port Republic before Sheridan decides to lead the Army of the Shenandoah back north to complete the second half of his mission in the valley. Convinced the campaign is all but over, Sheridan begins the wholesale destruction of everything of value in the region. 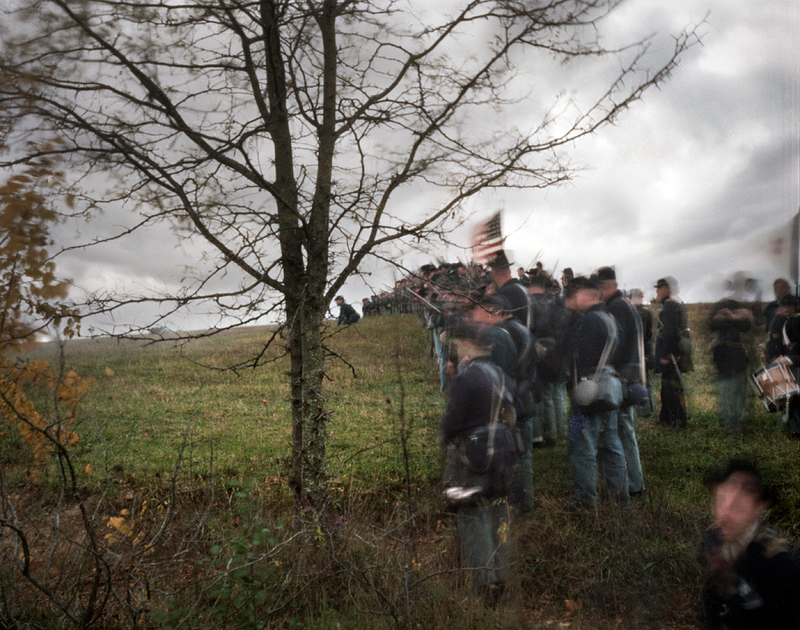 As Union troops march back toward Winchester they would put the Shenandoah Valley to the torch. 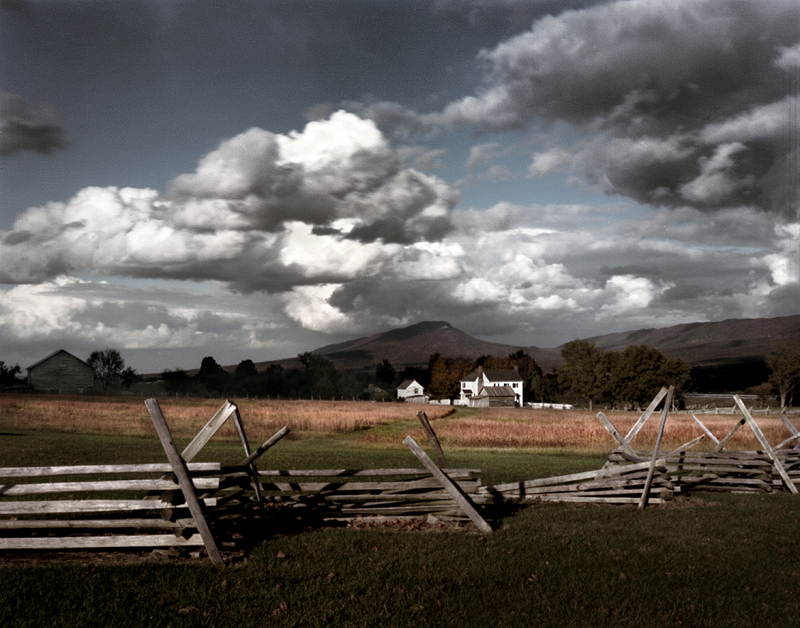 One of Sheridan’s orders from Grant was to destroy whatever could be of use to the Confederates in the Shenandoah Valley. This meant everything from military material to the myriad of mills and farms that continued to provide sustenance to the Confederate armies in the field. On October 13 1864, with Union forces encamped around Cedar Creek, Jubal Early’s Army of the Valley returned to their old positions at Fisher’s Hill. While reconnoitering the Union position at Cedar Creek from Signal Knob Confederate General John Gordon saw an opportunity to turn things around. Gordon observed that the Union army camped at Cedar Creek obviously expected an attack on their right flank. This flank had been reinforced but the Union left flank seemed to be vulnerable. 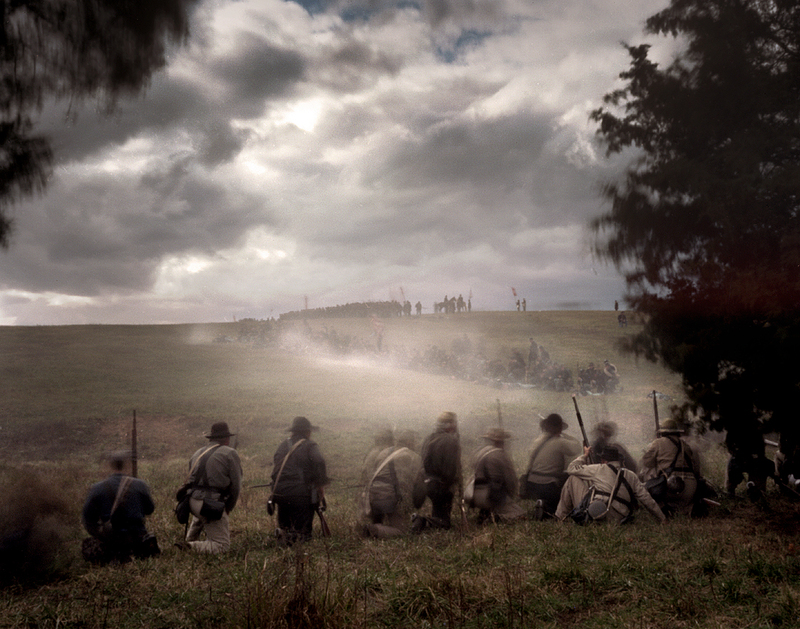 Gordon proposes a dawn attack on the Union left flank, Early agrees and the Battle of Cedar Creek is set in motion. 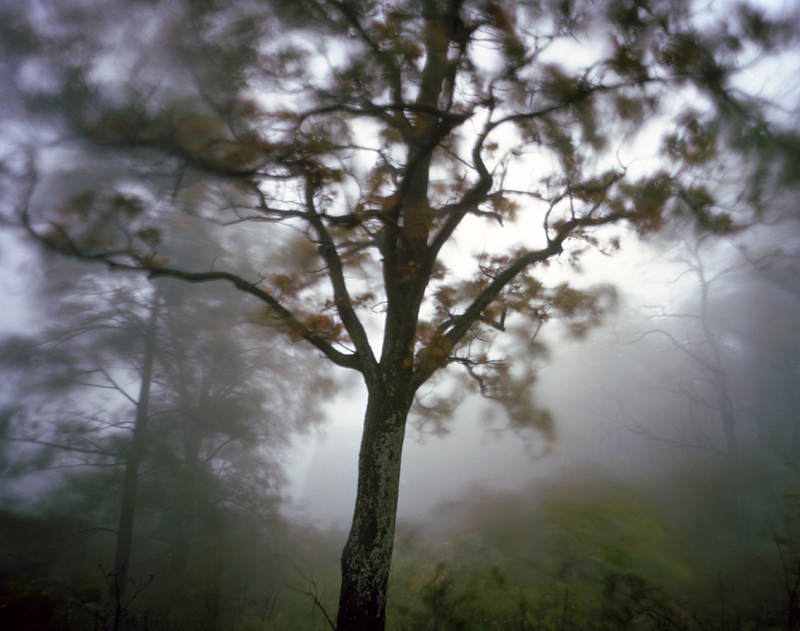 On the morning on October 19th heavy fog blanketed the Shenandoah Valley at Middletown Virginia. The Union troops in camp on the Belle Grove Plantation were just stirring when the Rebel onslaught began. Aided by the heavy fog Confederate troops surge forward and overwhelm the Federals in camp. Three entire Union Corps are routed and sent flying north as the Rebels paused to take advantage of the heavily supplied Union encampment. This delay in continuing the fight at Cedar Creek would have devastating consequences for the Confederates….because Sheridan was on his way. Phil Sheridan woke on October 19th in Winchester to the sounds of cannon fire coming from the south. He mounted his horse and began to head toward Cedar Creek in what would later be famously termed, “Sheridan’s Ride”. 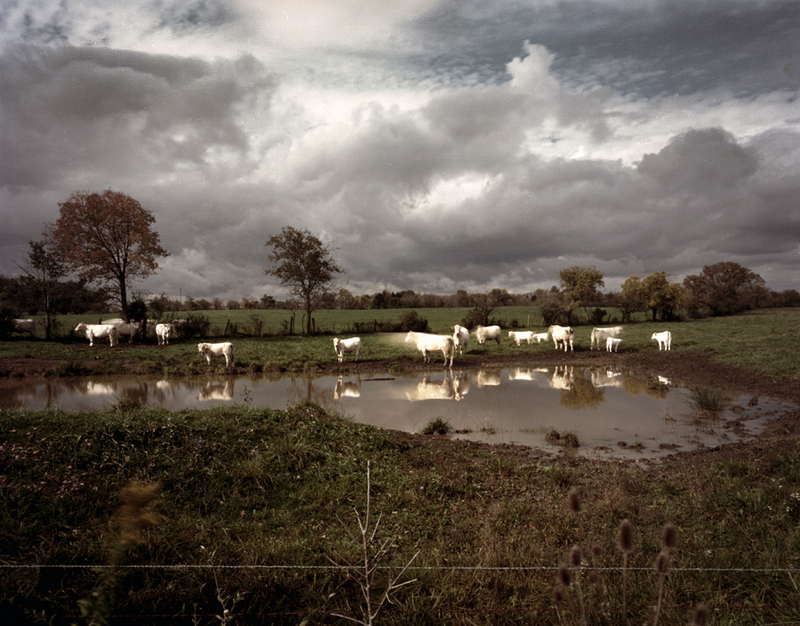 As Sheridan approaches Middletown, Va he begins to see the evidence of the days fighting. Thousands of Union troops are walking rearward after the surprise Rebel attack. Sheridan quickly begins to reorganize these troops and is determined that the battle is not over yet. The 18th century Belle Grove Plantation served as an HQ for both Union and Confederates throughout the Civil War and in 1864 was the site of the Battle of Cedar Creek. The Belle Grove Plantation and the Cedar Creek Battlefield are well preserved today and part of a public/private partnership having affiliations with the National Park Service and the National Trust for Historic Preservation. I love the colors that this technique produces. They are very pictoralist. The views of Fisher’s Hill are stunning! These photos are breathtaking. 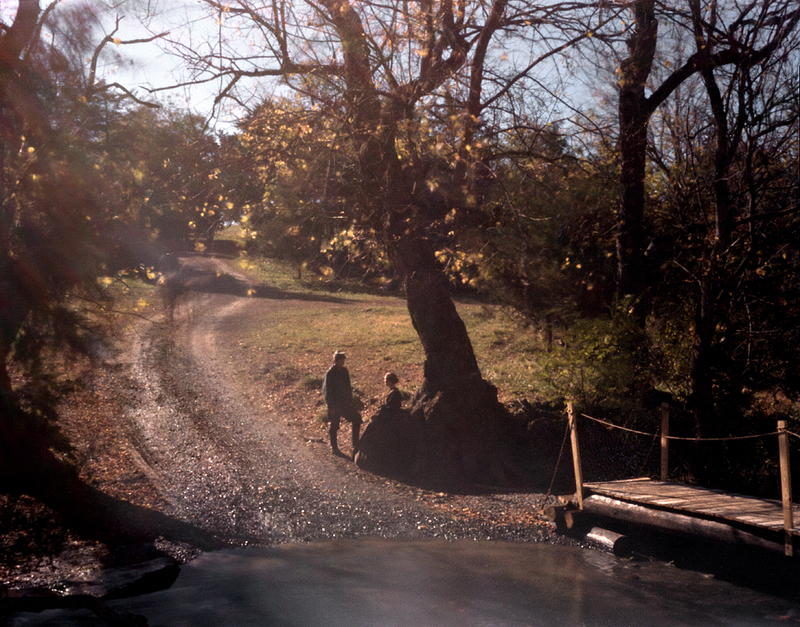 It’s hard to avoid the modern structures and cars and that darn mine, but I don’t see a trace of any in these shots. So evocative and moving. 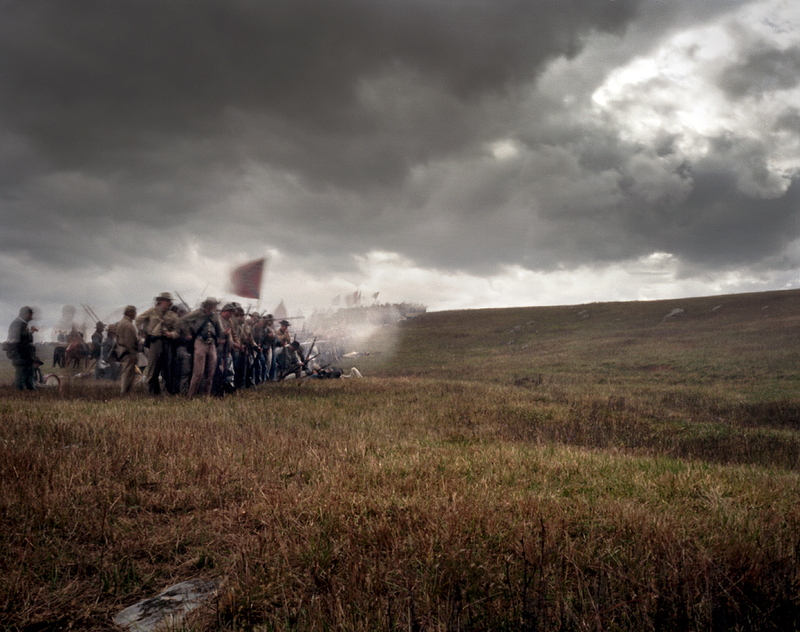 I have gone to many of the Cedar Creek reenactments, and this year’s was especially inspiring. Thank you for capturing the essence of the event. Margaret, Thank you so much for your comments on the work. Photographing with the pinhole camera can be challenging and yes, cars, telephone poles etc add another level of difficulty but photography, in one sense, is all about angles. I became a re-enactor so i could photograph these events from the inside and avoid being stuck with one perspective. And thank you for suggesting I somehow “captured the essence of the event”. The “essence” of these events is exactly what I’m looking for when I’m out photographing, so thanks!